I was surfing my local spot last Saturday and was surprised by the number of people that were out that day. It’s not unusual to see 20-30 people out on a nice weekend morning, but it was odd to see so many that day because someone was attacked by a shark about a mile north of us a few hours earlier and we all knew it. Pretty much each time I go surfing I worry about a shark attack. I’ve been surfing for almost 30 years, averaging about 4 sessions a week, and yet I still worry about this. It’s the same kind of feeling you get when you hear a thunderstorm in the distance or board an airplane. You know the odds of anything happening are slim, yet your mind gravitates toward the worst case scenario each and every time. 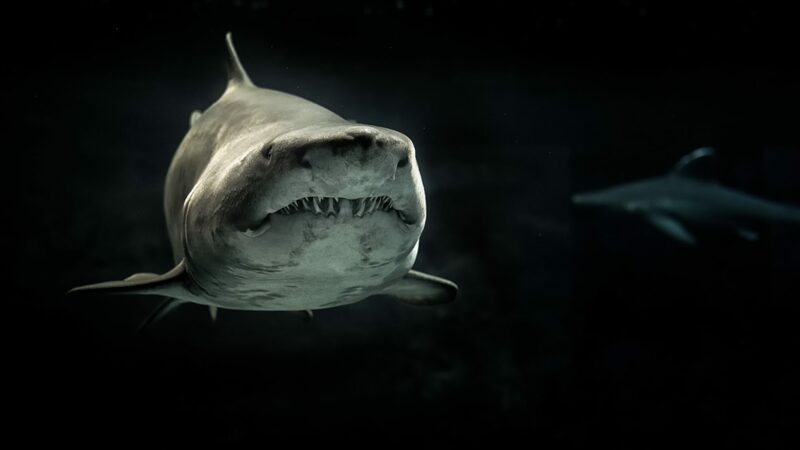 Even though there are only an average of 10 fatalities per year from shark attacks we know that fear sells. 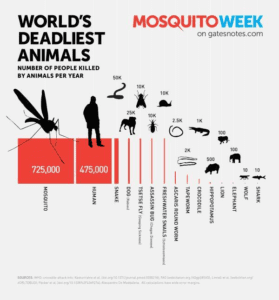 Mosquito Week just doesn’t have the same kind of ring to it as Shark Week does. The S&P 500 hit a new all-time high this month and you are going to start reading more about how this is the longest bull market in history. You are also going to start hearing more about how we are in a bubble and due for a crash worse than 2008. Somewhere, somehow that shark is out there waiting to get me. I am hearing from a lot of families that are pleasantly surprised when looking at their retirement account balances lately. The slow slog of putting a portion of your paycheck or an annual contribution away each year is finally paying off for those who have been disciplined. A side benefit of doing this repeatedly is you tend to focus on the long term which is great – retirement is 20+ years away for many of us. Keep contributing. I’d avoid trying to do too much trading in retirement accounts and stick to your savings plan. Even if there is a downturn you will then be able to invest your bi-monthly or annual contributions cheaper and ultimately end up with better returns in the long run (see a great article about this here). Since you may have been contributing static percentages to different asset classes like stocks and bonds, I would consider rebalancing by trimming your winners (likely US stocks) to areas you may be under-invested (like international stocks or even bonds). Most 401k plan providers have recommended asset allocation models that you can reference based on your risk tolerance. Take a look at how your different percentages may have drifted and shift back to the recommended amounts. I’ve been hearing this sentiment more and more recently. Unfortunately, trying to predict the top is extremely hard to do. Take a look at the chart below; can you identify one common statistic that would indicate the top and cause you to sell? Per the Author Ben Carlson: “What jumps out is that there’s no discernible pattern among previous peaks. The stock market has experienced bear markets with high valuations and low valuations, high bond yields and low bond yields, high dividend yields and low dividend yields, high inflation and low inflation. Those of us who were either investing or advisors remember the feeling at that time – if you were invested in the market you felt something between shock and absolute panic. I believe timing the bottom is even more difficult than the top since our aversion to losing money is so much greater than when we make it. Eventually the market will correct and possibly may even crash. But I would ask yourself, are you really prepared for this. The market corrected almost 10% in the first quarter of 2018, did you buy then? How about in 2016 when the market was down almost 15% and the median stock was down 25%?. Again, were you prepared to buy more? One solution is to consider dollar cost averaging into a diversified portfolio that contains other asset classes that haven’t done as well recently (e.g.- bonds, international and emerging stocks). There is no hard and fast rule to this other than to pick the dollar amount you are going to invest, pick how often you will do it (monthly or quarterly), and for how long. Put it on your calendar and do it regardless of the headlines. It is as close to a win-win scenario as you are likely to get. If stocks go up – great, you are making money. If stocks go down you get to buy in a little cheaper next time you invest. I had clients do this in 2017 – one of the worst years ever to dollar cost average since the market went up literally every single month of the year. Yes, they would have done better if they invested a lump sum on January 1st, but for them the opportunity cost of missing out on those gains was less than if they invested on January 1st and the market crashed right afterward. You’ll want to ask yourself what is a worse scenario for you to stomach – putting money to work over a period of time and losing out on some upside, or investing a lump sum and watching it go down. There is no right answer, only what makes sense for you. Finally, remember that just because we are at new highs doesn’t mean the market has to stop going up. 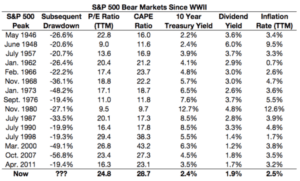 The folks at Ritholtz Wealth Management went through some amazing statistics here. Why would I invest money with all of the political uncertainty in the world right now? Why would you pay an all-time high price for something? Why would I want to risk going through a 2008 again? Why am I investing in the first place? What kind of life do I want to build for myself? How am I tracking based on where I want to go? Am I doing the right things to set my family up to be financially successful in the long term? Is my family going to be OK if something happens to me? It all comes back to that original question – “Why am I investing in the first place?”.